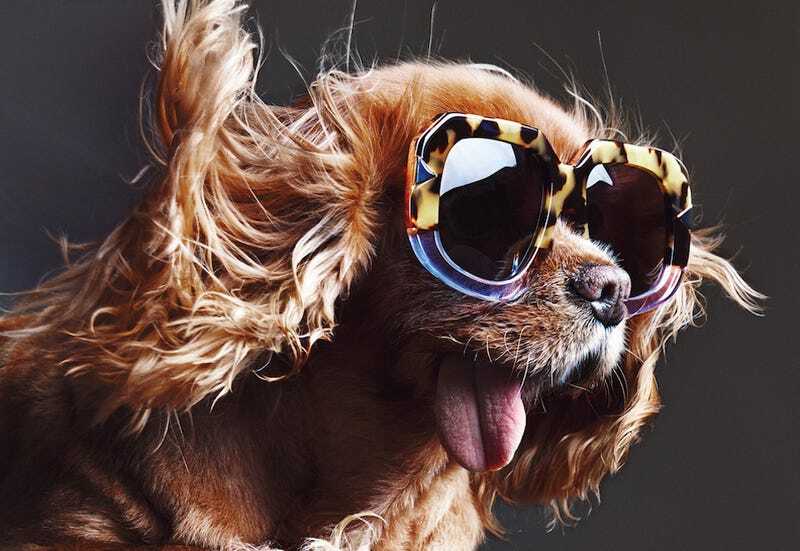 Fashion's newest darling: a toothless, Instagram-famous Cavalier King Charles Spaniel named Toast. "We were after a model for this campaign who could fit with our caramel-y color palette and also someone whose hair would work with our three wind machines hitting her from every angle to create a slightly '70s vibe," designer Karen Walker told Style.com. "Toast ticked every one of those boxes." Check out some standout images from the spring 2015 eyewear campaign below, and head over to Style.com for the rest.